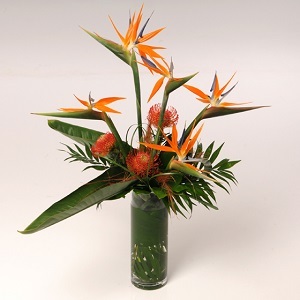 January is a good time to start Strelitzia or Bird of Paradise seeds. 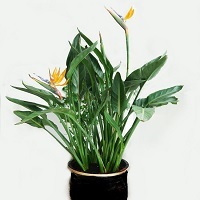 Strelitzia are great indoor and summer outdoor plants. 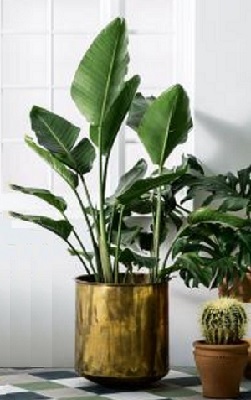 They have big banana-like leaves that look exotic in a summer border, and the evergreen leaves make these a striking indoor plant during winter. Growing these plants to flowering size from seed takes several years, but is rewarding and well worth the effort. 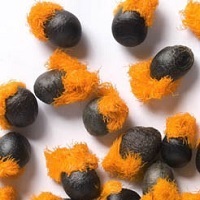 Strelitzia seeds have tough seed coats. An early start to sowing in January allows two months for the seeds to germinate. The seedlings emerge in spring in time for a full summer of growth. The large black seeds have orange tufts. Remove the fluff and soak the seeds in hand-hot water for 24 hours. Then sow the seeds in small pots of compost, covering the seed with compost 1.5 over the size of the seeds. Keep the pots gently moist and a warm 22-25 degrees Celcius - a propagator is good. Seeds germinate in 4-8 weeks, longer in cooler conditions. 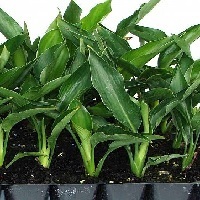 The plants grow evergreen leaves and take a while to mature. Flowering generally starts in Year 3, but can take longer in some plants. They grow up to 1.5m in height. In the UK, it is best to grow these plants in pots, as they do not tolerate frost. Keep them outside in the summer and bring them indoors during the winter. Give them plenty of water and food while they are growing and good light when indoors. They need little maintenance. Just remove spent flowerstalks and older leaves as they become untidy. Repot plants once they are straining out of their pots! Strelitzias are great cut flowers. I like this arrangement above by Perfect Moment Florists.